Find Part I of my S4 Retrospective here. MLP Season 5 now has an official date, and as of typing Pony Countdown says we’re roughly 16 days, 3 hours, 55 minutes and 10 seconds away from it. I guess I better get to my Season 4 rewatch. This time I rewatched episodes 3 and 4, and for better or for worse it’s pretty fair to say these two episodes are different to anything that came before them in MLP. First off we’ve got the establishment of the series’ first ever concrete season long arc, but besides that we’re treated to some pretty unique ideas that the show hasn’t touched on, some neat and some… well, not so neat. Enough chatter, let’s talk about some pony! First up after the beginning two-parter is Castle Mane-ia, which was a nice haunted castle popcorn fest which elevated itself in some ways and fell a little flat in others. The character dynamics and situations managed to make some good fun out of its solid execution of generally cliche ideas, with a good mix of well-timed subtle visual gags and more obvious silly banter that the voice actors nail as usual. Save for one really graceless memetic joke towards the end (“I always let my imagination run away from me! Then it comes back… with cake!”, Pinkie then stares straight at the audience), the jokes are spot-on. Probably the best grace of this episode is its visuals, which it demonstrates through some of the prettiest animation and shot-framing of the entire series to date (perhaps most notably the gorgeous sequence where Rainbow Dash and Applejack banter on a flight of stairs as the camera pans down with Dash floating down in between the stairs in the foreground and Applejack following her on the stairs in the background). Also, I really liked how the arc of the season was established in this episode with the diary being introduced. I don’t think Season 4 did all it could do with the idea, but it definitely started off pretty well. Unfortunately Castle Mane-ia has some graceless pacing here and there and a few stagnant dialogue exchanges that repeat themselves a bit, but for his first MLP episode Josh Haber takes a fun trope and puts a nice pony style spin on it while also managing to stand out fairly well with his own style of writing. Castle Mane-ia is a quirky little episode that’s easy on the senses and plenty of fun. Plenty has been said about Daring Don’t, and not a lot of it has been so nice. When you really boil things down this is a decent enough action-adventure tale, but all the elements surrounding it are extremely chaotic. Daring Don’t is a badly written episode, plain and simple. As many, many others have also pointed out, the premise of the Daring Do novels being autobiographical is completely and utterly nonsensical. It just makes a total mess of things and really didn’t need to happen. I feel like the ideas this episode tries to convey about Dash could be done without any absurd reveals that throw the canon of the series into chaos, but even getting past that those ideas aren’t very compelling. The character writing leaves a lot to be desired, bar a couple solid visual gags with Pinkie and the cute scenes of Twilight and Rainbow Dash fanfillying over Daring Do. 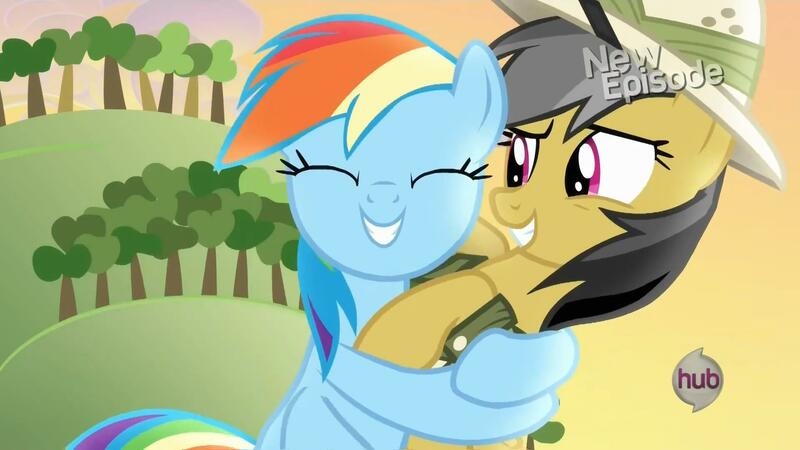 Dash just circles around some of her basic traits before coming to a wishy-washy character moment that allows her to give Daring Do an even more wishy-washy character moment about friendship being magic and stuff. It’s just plain mediocre characterisation. 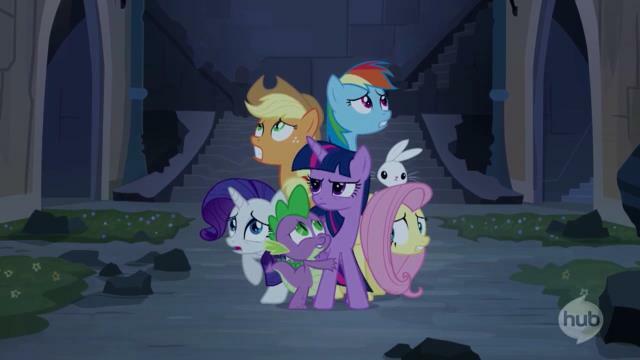 Also, as many subsequent Season 4 episodes would be guilty of, it features the entire mane six but only gives a notable role to one or two of them. Okay, maybe I sound a little harsh. Daring Don’t isn’t exactly a hard episode to watch, all things considered. I don’t think any episode of MLP is hard to watch, as a matter of fact. 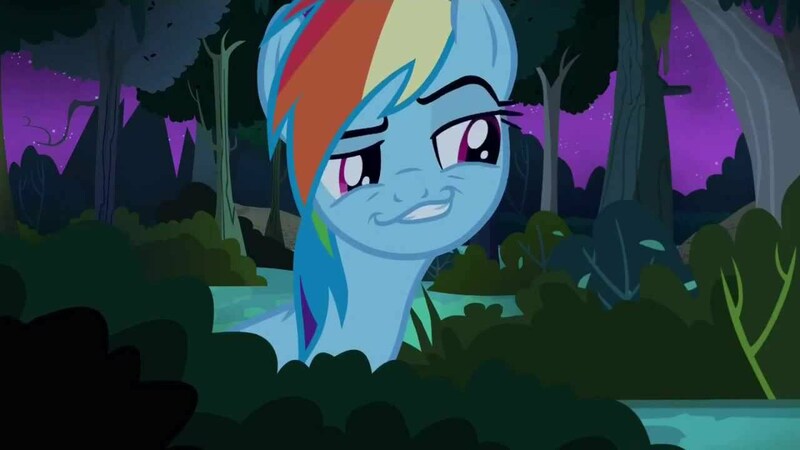 It’s simply that Daring Don’t is a messy story that lacks interesting elements, one that I watch and just think “meh”. Daring Don’t just isn’t my cup of tea. And that’s it for now. Episode 3 and 4 are a good indication of where Season 4 ends up going, and a fairly decent watch in themselves though they’re not the best MLP has got. 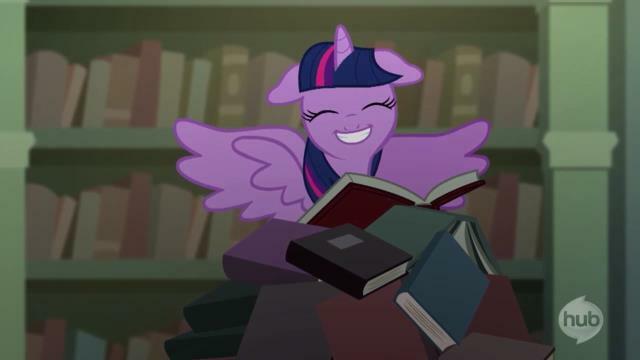 Next up is Flight to the Finish, which to my recollection was easily one of the best episodes of the season, and Power Ponies, which was a darn solid popcorn episode just like Castle Mane-ia. I’m super eager to get to those episodes and the rest of Season 4, so expect them soon!